There are two types of NIA’s – Theoretical and Measured. An International Oil and Gas Producer contacted FDI Acoustics Inc. with an urgent request to complete a Noise Impact Assessment (NIA) for an expansion to a 65 MMscf/d sour gas processing plant. The urgency of the project was necessitated by an audit of the application for the project performed by the regulatory approval agency. The regulatory agency audit found that the original NIA filed was unsatisfactory. The applicant was given fourteen days to resubmit an acceptable NIA or face approval delays and regulatory agency enforcement action. FDI Acoustics was retained to complete the NIA and responded expeditiously with a sound measurement program detailing the sound levels of the existing equipment in operation at the facility site, a key component in the preparation of a Noise Impact Assessment. FDI’s acoustical consultants identified and calculated sound power levels for over 120 significant noise sources associated with the existing facility as part of the project. Sound measurements were underway when the plant experienced an emergency shut-down, causing an unforeseen delay in the on-site data collection. FDI’s consultants ensured the facility expansion was modeled and prepared the Noise Impact Assessment report following the requirements of the regulatory agency. The project was completed in 10 days enabling the client to meet the deadline imposed by the regulatory agency in spite of the unforeseen events. The regulatory agency accepted the NIA prepared by FDI and granted approval of the expansion for the gas plant. 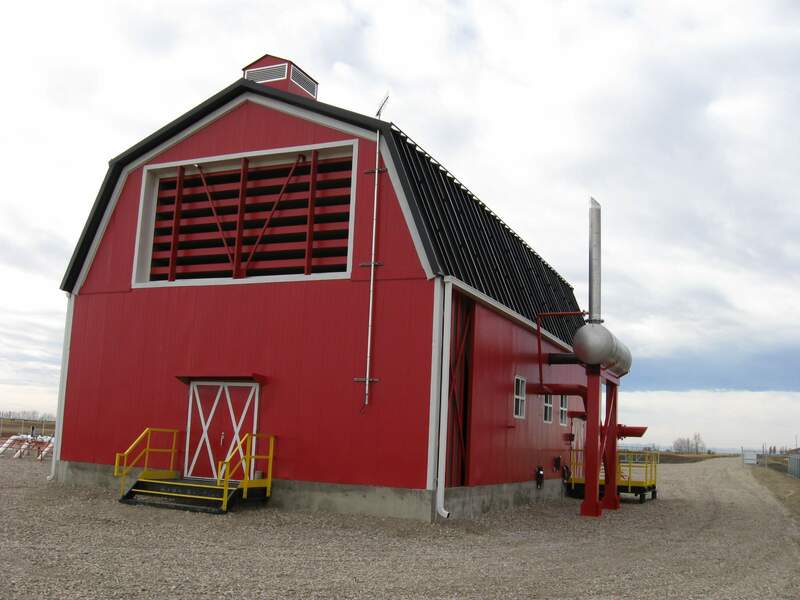 A Small Natural Gas Producer purchased a used compressor package requiring a Noise Impact Assessment. 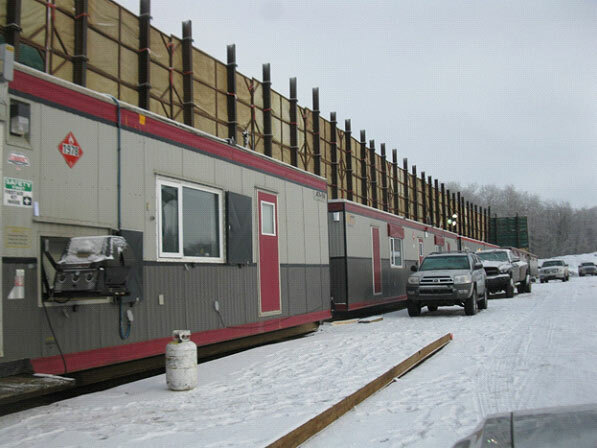 The producer indicated the proposed location for the unit was within 600 metres of an existing residence and the unit purchased was stored at a remote location. Using a combination of equipment plate information, unit construction details, manufacturers information and photographs, FDI developed Sound Pressure Levels (SPL) for the significant noise sources associated with the operation of the unit. 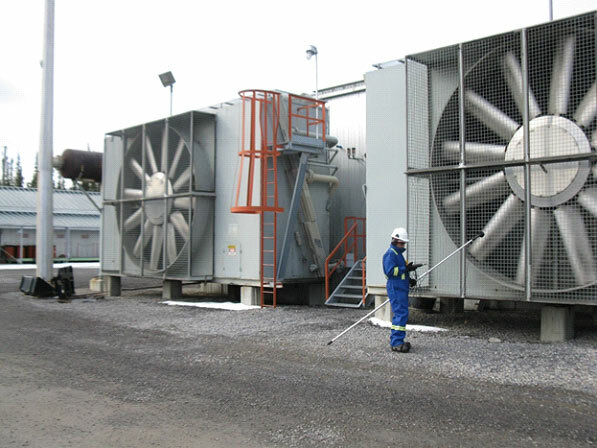 The SPL data was used to calculate Sound Power Levels for significant noise sources following industry standards for calculations along with FDI’s experience and expertise. The site measurement data was entered into the noise propagation model to confirm the prediction of the noise control measures. The measurements demonstrated the facility complied with the design parameters with the facility operating 2 dB lower than the target established by the producer for the residence. Sound pressure levels conducted at the residence during typical operating conditions confirmed the prediction of the model. As operators in central Alberta, close to many rural communities and farmers, most of our production comes from the Edmonton Sands formation, which is a low pressure sweet natural gas. Due to the low flowing pressure of our gas we require field compression, often in close proximity to residences. Since 2005 James Farquharson has done most of the acoustical engineering for us. His work has always been accurate and cost effective. I would recommend his company to anyone who requires noise assessments and engineering.